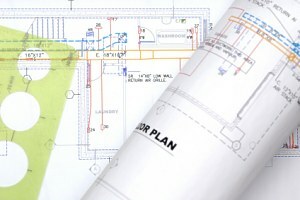 SMCI can be your partner in the design and the installation of your total HVAC system. Our experts are available to design the latest energy efficient options to meet your needs. We can provide guidance and direction to owners complete with engineered drawings and specifications. We specialize in schools, restaurants and other commercial applications. Let one of our experienced staff be your partner and feel the comfort of a new design. As Consulting Engineers and Owner’s Representatives, we continually seek qualified contractors to construct the HVAC projects we design. Our client base is the K-12 school market with building additions; renovations and HVAC equipment upgrade projects. The nature of these projects is that they usually must be completed during the 2-1/2 month summer break. Over the last 15 years we have been involved with well over 30 projects completed by Sheet Metal Contractors Inc. (SMCI). We continually receive the highest level of quality work from hard working, knowledgeable and dedicated tradesmen. The office staff is a pleasure to work with. With that many projects you would expect to have some sort of problems, either equipment or installation related. Any issues we have encountered have been quickly resolved to the Owner’s satisfaction. SMCI makes our jobs easier.